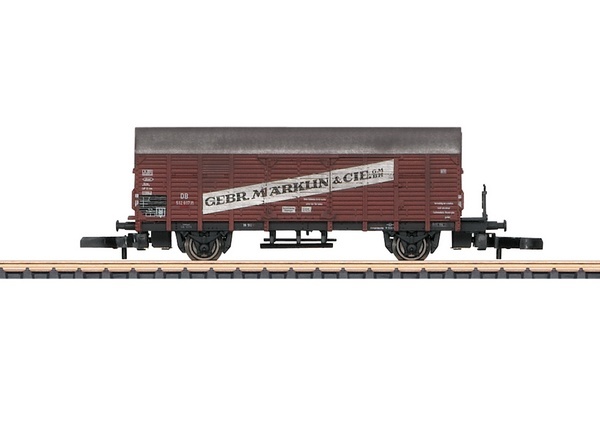 Prototype: German Federal Railroad (DB) type Gl "Dresden" boxcar as it looked in Era III. Both sides of the car include advertising lettering for the firm "Gebr. Marklin & Cie. GmbH", Goppingen, Germany. Model: The car includes repaired areas and weathering. Length over the buffers 56 mm / 2-3/16".